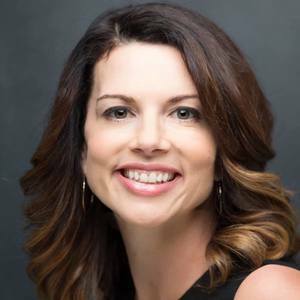 Douglas Karr interviews Gina Bianchini, the Founder & CEO of Mighty Networks. Mighty Networks takes direct aim at ordinary groups with a new social network totally re-imagined for deep interests on mobile. Anyone can create a Mighty Network for free. It’s easy to get started and when you invite members in, you’ll instantly see people near you, by the topics you choose, and the categories you define. Everything for your interest is in one place, with content and conversations that never get lost. Learn how Mighty Networks got started, why it makes sense for your brand, and learn about some of the amazing communities that have skyrocketed within the Mighty Network! Before Mighty Networks, Gina and Marc Andreessen co-founded Ning, a pioneering social platform for niche networks online. Under her leadership, Ning grew to 90 million people across 300,000 active communities in entertainment, politics, and education. In addition to Mighty Networks, Gina serves on the board of directors of Scripps Networks, which owns HGTV, The Food Network and The Travel Channel. Gina and Mighty Networks have been featured in Fast Company, Bloomberg, Wired, and The New York Times. She has appeared on Charlie Rose, CNBC, and CNN. She grew up in Cupertino, California, graduated with honors from Stanford University, and received her M.B.A from Stanford Business School.